Former President of the Nigerian Bar Association (NBA) and foremost pro-democracy activist, Dr Olisa Agbakoba, has given an insight on the factors that will shape the 2019 general elections, particularly the presidential poll. He said that he would not have bothered for President Muhammadu Buhari to continue in 2019, but for the many odds against him, predicting, therefore, that the opposition would defeat him at the polls. 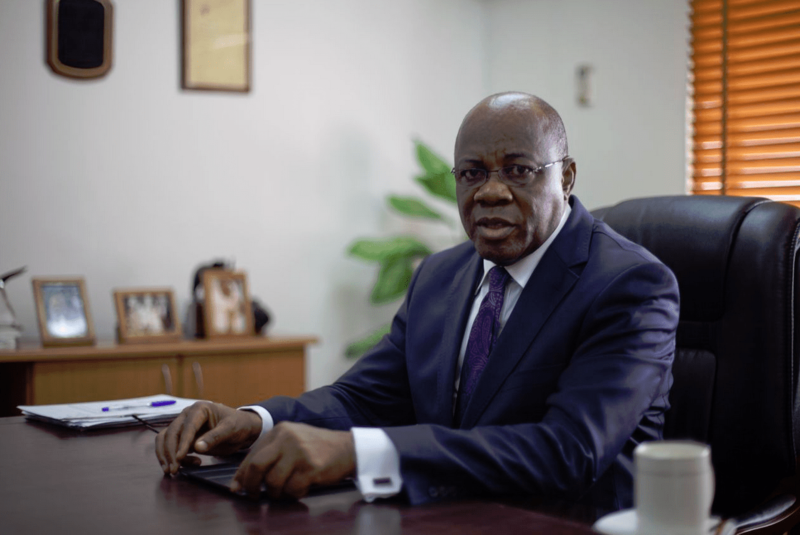 Agbakoba who is also the leader of the National Intervention Movement (NIM) in this interview at his Ikoyi, Lagos office, speaks on party politics, governance and the 2019 general elections. The political atmosphere is tense as we approach 2019. What are the indices that are stoking the tension? The problem is the political parties. Politics is seen as business. The problem is the absolute lack of principles by the political players. People don’t go there to serve. They go there to feather their nests. There is no shame in it. That is why they shamelessly jump from one party to another. No shame. Look at how Emmanuel Uduaghan, former governor of Delta State for eight years jumped from the Peoples Democratic Party (PDP) to the All Progressives Congress (APC) just for an opportunity to become a senator. So, the lack of principles is responsible for the tension we are presently experiencing. This approach to politics in Nigeria makes it in the famous words of Obasanjo,’ a do-or-die’ affair. So, the only way to glean into this rubbish is to look at our elections. We have seen that in Ekiti elections, we‘ve seen it in the last Osun governorship elections. We have seen it in Imo. The control of the godfathers. The elections are easily rigged. We‘ve seen it in Lagos in the control of the APC; in Imo APC, and so on. So, the only way to ensure the credibility of the Independent National Electoral Commission, INEC, is to implement the Justice Uwais Committee Report. We have to ensure that INEC is stronger today than when it was under Prof Iwu. Prof Iwu’s INEC was far worse than Prof Jega’s INEC. Iwu was not necessarily a bad person, but he was operating under a very weak environment. Jega had the opportunity of serving under a better framework and that showed in what he did. His elections were not terribly bad. So what is the problem with this particular INEC? At the 2014 National Conference, we recommended that INEC should be self-funding. We recommended that INEC should have its funds only appropriated by the National Assembly. What is happening now is that the president funds INEC. So, who pays the piper dictates the tune. We also recommended that the appointment procedure of the chairman of INEC be equivalent to that of the Chief Justice of Nigeria, CJN. It is inconceivable to think of removing the CJN.INEC will fare better if it is done that way. Why is it not happening that way? It is because they don’t want to allow it as it will pave way for a free, independent INEC and disallow the prevailing situation where the party in power controls it. It is not about APC or PDP. They are all the same. The same side of the coin. The only way we can get out of the electoral mess we have found ourselves in is to push for the full implementation of Uwais Report. There has to be a completely independent INEC and the tenure of office of the chairman and the commissioners constitutionally guaranteed. The removal process of the chairman should also be made cumbersome. What about the commissioners? We must look at INEC holistically, not just the chairman. All these appointments need to be well secured and guaranteed under the constitution in such a way that anybody that works in INEC as commissioner will not be obliged to feel that the president is his boss. A Supreme Court judge would never think of kowtowing to the executive because we managed over time to make the judiciary largely independent. There are still some minor grey areas to be addressed. What about when there were raids in their houses? Is that part of their independence? Yes, what happened about two years ago did jeopardize their independence, but remember that the Bar spoke out vehemently against it. At the end of the day, executive impunity is difficult to stop in a third world country. But that should not stop anyone from creating strong institutions. So, my point is that Nigeria needs to borrow a leaf from South Africa. In South Africa, their constitution enlists and strengthens their institutions – judiciary, their own EFCC, Accountant General or Auditor General, etc. The institutions support democracy. They are all constitutionalized, made independent and their tenure of office guaranteed. It is easier to remove the president of South Africa than the president of the Supreme Court. It was the person and character of someone like Jega that was used to drive the process. But you can’t depend on people. Rather we need strong institutions. With particular respect to the 2019 process, emphasis should be given to the primaries. Every electoral cycle has its own peculiar challenges. In 2007, the problem was substitution of names. Each election throws up a problem. The next amendment resolves it. The challenge for INEC today and indeed all of us is to campaign for a new framework for primaries. There are three frameworks now – direct, indirect and consensus. In order to make it fully participatory, it is only direct primaries that suits our situation. No more, no less. A party has to have a register of members. They don’t have anything. You can’t have a party and there are no registered members and structures. This is why it is important to implement the Uwais Report. The Uwais Report considers INEC as a referee. There is no football match where the referee is responsible for marking the field and everything. That is not his responsibility. His job is just to hold the whistle and referee the game. INEC has no business with political parties’ registration. We recommended that there should be a new body responsible for that. We recommended that INEC should not have any business printing ballot papers and associated items. INEC should not be turned into a printer. Those are sensitive documents. The Central Bank of Nigeria, CBN, doesn’t print currencies. That is done by the National Security and Printing Company. We need to unbundle INEC and leave it with responsibilities that are geared towards a free, fair elections; that is refereeing the elections. I think with that, things will change. The current government in power is said to be reaching out to loud critics of the government in a move to silence them. Part of the rapprochement is to get them key into the re-election of President Buhari for a term of four years rather than allow the opposition emerge as president with a renewable eight-year term. In that case, according to pundits, the presidency will be retained in the North for a fresh eight years before going to the South. I am sure you have been reached? No. Nobody has reached me. Any Nigerian with any modicum of intelligence knows that where the president comes from no longer matters. All we want is a good president irrespective of where he comes from. I would not have minded Buhari to continue if he was good. Unfortunately, he has turned out to be a very bad president. That is the problem. He has destroyed the economy. Everything is on the floor. He has divided the country. Everywhere and everything is scattered. So, I cannot give him my own support. I would rather support a person who I think will turn Nigeria around positively. And that requires a lot of thinking. There are so many presidential aspirants on the field. But we need to look very carefully to pick the best. We need to be cautious so that we don’t make another mistake. Who do you think fits the bill among all of them? Yes, in spite of all corruption allegations laid against him, there has not been any charge brought against him. Secondly, he has a broad business vision. He has a deep political experience. He has a pan-Nigerian outlook. He is married to an Igbo woman, married to a Yoruba woman. He is detribalized, even in the employment profile in his companies. He goes for the best regardless of where the person comes from. He understands Nigeria. My money is on him. Whether he will win, I don’t know. But I am only looking at someone who I think will draw from his experience to turn things around. I don’t care if he does eight years. That is the joker. Let us forget this North and South nonsense. Let’s forget it. Let us focus on getting a good president. Turning Nigeria around has an ideological and structural element. The ideological element is that we have to decide who we want it to be. The constitution is very correct when it declares Nigeria to be a secular state. Enough of this religion. It is killing us. Look at the Miyetti Allah thing or the herders problem as it were, if the leader of Nigeria is crystal clear about saving Nigeria, all this Hajj, Christian, Muslim pilgrimages that are state-sponsored should not be allowed. If I were in that position, I will abolish them. If you want to go for Hajj, look for your money and go. The state will not support you or adopt any religion. Let the state be the state, and let the religious leaders play their role. It will cool things down. The second important point is restructuring. We have to understand that it can only work if the entire Nigerian nation is behind it. Right now, that is not what we see and a lot of people in the North do not understand it, except Atiku. And I know why. The language of the South is so threatening. You can’t restructure the South alone. I want a strong, united Nigeria. I must persuade my northern brothers that a restructured or decentralization of Nigeria is in the best interest of all of us. Right now, that’s not possible with the way things are going. I do hope that whoever becomes president will understand the emotional elements of the restructuring exercise. The APC primaries in Lagos threw up a lot of dust and at the end of the day, it appeared that Bola Tinubu, the godfather had the upper hand. How do you assess the man and his politics? He is formidable. He is the most formidable Yoruba leader since Awolowo. The difference is that Awolowo had a clear vision on how to develop Yoruba land. It is questionable whether Tinubu has that. And I hope he will move with the times. There is no better value than to have a vision to develop Yoruba land in such a way that it will be beneficial to the people, which I am not sure he is doing now. It is not about being godfather. I don’t mind that Ambode lost. In the last four years, he hasn’t satisfied me as a person that he is a competent governor. Everywhere is in tatters. Everywhere is dirty. He misunderstood the concept of limited state power. Do you think that it was Tinubu alone that defeated Ambode? We all know the fact that politics is prebendal. There is some small chop in it. You must let things go round. Tinubu and Fashola never tampered with the power of the local governments to collect refuse. Never. This man came and removed it. But it was done through PPP (Public, Private, Partnership). Through that, VisionScape emerged as the preferred refuse collector? Yes, Visionscape. Mind you, refuse collection sounds so trivial, but it is a massive industry. The chairman of the local government uses revenue from it to pay patronage and do so many things. Tinubu exploited the local angst to stop Ambode. He simply said,’ I followed what my people wanted’. Largely, that is correct. On the other hand, I don’t think APC victories in Ekiti and Osun are pointers. In spite of Tinubu’s strong hold on Osun State, they found it difficult to take it. It was a very close call. These are indicators of the unpopularity of APC in the Southwest. 2019 is gradually creeping in. There are fears mounting every day. What do you see? It will turn out to be Nigeria’s most divisive election. Primaries of the parties are already showing what to expect. It is going to be very divisive; it is going to be very contentious, even in the parties. If APC primaries are anything to go by, it is going to be a lot of war. It is going to be a throwback to 2015 when Jonathan left office. It is not going to happen again. We are not going to have another Jonathan again. The APC is making it very clear that they are not going to play Jonathan card. What I see is that APC is going to do everything in the world to take the election. They will twist the rules, do anything to win. That will make the election to be extremely contentious. Someone commented the other day that APC has the largest concentration of political rascals in the country. Is that true? Yes. In conceptualizing the APC, don’t forget that about five parties came together. After the five parties came together, Nigerians, with this proclivity to go where it is fashionable with good prospects, and with APC determined to overtake the PDP absorbed everybody. The worst guys are in APC. The biggest riggers are there. And it has come to show that the same guys who made APC have shown they have the capacity to break it up. With Dogara, Saraki, Atiku , Kwankwaso and so on shifting back, it is going to be a tough one. Here is my take. If the elections are conducted in a free and fair manner, the opposition will win. And I have not factored in the fresh guys in the mix and people are thinking that these fresh guys will play no role. That is a mistake. The social media is going to drive it a lot. And it doesn’t seem that the APC and PDP are the only dominant players. When parties finish selecting their candidates, horse trading will start. Neither the APC nor the PDP will be making any sense if they don’t reach out to the fresh guys. Many of them are having a lot of members. My group, National Intervention Movement, NIM, we have about six million people. We have our votes and we are not going to throw it in, unless we are convinced it is for the right person. So, we seem to be relevant now because there is a big contest taking place. In Lagos, for instance, the contest is going to be interesting. The new kid on the bloc for APC, Sanya-Olu will not take the seat like a walk in the park. He will need the cooperation of the fresh guys. I have access to three to four million people on the social media. Tinubu will have no role there. There are young brilliant people who are running for president. I have met them. They are about 10 young, brilliant, full of ideas and they have a lot of followers, especially on social media. I know Kingsley Muoghalu, he has over three million followers; I know Fela Durotoye, about 1.5 million. I know Sowore; massive following even among the civil society. He is seen as the dark horse in the civil society. So, don’t discount the small, low-rated parties. The guys who will go forward are those with this kind of back up. So, money and ideas will play pivotal roles in 2019. Don’t discount the fresh, young guys. If that happens, the opposition party will win. Just the way it happened in 2015? Your movement, the NIM, has not been proactive. We haven’t seen you intervene at critical points in the politics of 2019? Are you not an editor? So why are you saying so? A lot of political bigwigs are talking to us as their fall back. Nigerian politicians are short sighted. It appears there are only two parties. Not so? What we see now –APC, PDP, that is because presidential primaries are still on-going. The energy that is being consumed now by Tinubu on the governorship race, do you think that after that he will just go to sleep? He will continue to be relevant. That being so, it is only an ideological change that is required in the two major parties. That is the major driving force in the NIM. We have introduced fresh dynamics and presence. All the fresh guys that I named are part of the movement – Kingsley, Fela etc. It is not necessarily in our own movement, but in their own, because they also have theirs like Take Back Nigeria, and so on. Oby Ezekwesili is on her own, and is running for president. We are all going to coalesce into a massive movement. We have the energy and other vital electoral tools. Who will determine the 2019 election? Of course the Fresh movement of which NIM is a critical component. We are with over 20 million unemployed Nigerian youths who don’t even want to hear anything, whether it is APC or PDP. They are waiting for one of these fresh people to go. As a strategist, I support that, because I can see the difference. We have seen the kind of heavy lifting in the game and we will not support a party that will not give us guarantees. It has never happened before. This is the first time that this sort of shift is taking place. Before, it was cut out for baboons and monkeys, but this time there is a big difference. So there is a third leg now in the mix – Money, godfather, and the fresh movements. In the face of a stalemate like we had in Osun recently, how will the election be determined? There will be no stalemate. There will be no stalemate? The picture is very clear on how the elections will play out. Let’s start from the six geo-political zones. In the South-West, APC is strong, PDP is strong. APC is strong, NIM is strong. Let us give it to the APC on a 70 percent – 30 percent score. The opposition has a wide spread in all the states in the zone. Go to the South-East; the opposition is very strong and dominant. I give it to the opposition on 80 per cent to 20 per cent for the APC. In the South-South, I give the opposition parties 80 percent and APC 20 per cent. The North Central zone, people are going to be shocked. The North-Central is going all the way to the opposition. Landslide. North-East, depending on who comes out, whether it is Atiku or Dankwambo (interview conducted just before the PDP primaries). If it is Atiku, I give the opposition 40 per cent to 50 per cent. People are going to be shocked. In the North-West, APC will lose. In the North-West? Buhari is from Northwest? Don’t worry. APC will lose. I am confident. How did you arrive at this permutation? Because of Kwankwaso. Did you see his rally in Kano? What if he is not given the ticket? Even at that, do you think he is going back to APC? He will have no option, but to support the PDP. No question about that. They have left the APC, and they can’t go back. They won’t even be taken. Do you think Kwankwaso is a fool? He saw very clearly that if his presidential ambition will be realized, he cannot get it in APC. APC was determined to return Buhari. On Saturday, PDP will pick their candidate in Port Harcourt. If he doesn’t win, he won’t go back. He will be bound to unleash his forces against Buhari and with what is playing out in Kano which has the second largest cache of voters and the largest in the North-West, he will take the state. It is a Kwankwaso territory. This man in Kaduna, El-Rufai will be in trouble. Even if he manages to come back, he is going to get the shock of his life. I give El-Rufai a return ticket, but the three senatorial zones, he will lose them. So, the APC is in a flux. I am still surprised at your question. The NIM is a formidable force and will play its role. If you go into the Internet, there is a disconnection between the traditional media and the social media. In the print media, you all are afraid. You are gagged. Not so for the social media. You all have political masters, and so you can’t write stories. Why couldn’t any paper state what happened in Lagos in its true form? No paper can dare say what happened. Tell me what happened in Lagos. I don’t know? I don’t know. Tell me. If I knew, I would have written it. Ok. What happened was that President Buhari wanted Ambode. Tinubu for reasons that are unclear to me didn’t want him. Tinubu made it clear that if you touch Lagos you won’t get my votes. If you go that way, APC is over in Lagos. That was why they did everything to make Ebri to come and make a fool of himself, saying that there were no elections only to turn round a few hours to declare an election result he said did not hold. Tinubu shook his body, drew a line and said let us see. Ambode had earlier started to pick up Abuja vibration insulting Sanya-Olu. He eventually swallowed it. If he had continued, they would have impeached him. That was the next item on the card. Tinubu demonstrated a massive machine to show that Lagos State belongs to him. But there are jokers that will happen in 2019. And that is why Tinubu should be very careful. If he keeps giving the impression that Lagos is entirely a Yoruba territory, he is in for a rude shock. There are six Igbo guys in the Lagos House of Assembly presently. People don’t know that. They are six. Even, people are getting tired of the old guard. Tinubu has been around since 1998. New thinking is beginning to hold sway. Lagos is a multi-ethnic state of 20 million people. If push comes to shove, things may change. Tinubu should remember that when he tried to remove a very popular Fashola, he failed. The problem with Ambode is that he is not popular. There is a disconnect between him and the people and Tinubu exploited that. That is the lesson. From my analysis of the six geo-political zones, the opposition will win the election in 2019, unless at the end of it, they don’t declare the result. There will be no Jonathan in 2019. If he had decided to stay, there would have been war. How best can the parties, institutions, and other stakeholders insulate INEC from undue influences and make it play the role of a true umpire in 2019? There is need now to set up the largest monitoring group comprising the Transition Monitoring Group, TIG, Nigerian Bar Association (NBA) Nigeria Union of Journalists, the labour group, etc. We don’t have to be there looking. But for me, after 2019, we must all put all hands on deck to make INEC truly independent and a credible umpire. Right now, people don’t believe INEC is independent. Look at what happened in Osun. Though my law on cancelled result is a bit stale now, but I recall that INEC did not cancel in states where there were allegations of voter manipulation. If they did not do it in those states, why do it in the Osun case? It is not clearly explained. INEC, right now has a reputational issue. Unfortunately, even if APC wins fairly, it will be difficult to convince a broad spectrum of Nigerians that it won fairly. INEC has a strong challenge to show that it can conduct a free and fair election. By November, the game starts. The conventions would have been over then, returns are filed and parties pick presidential nomination forms. The small, fresh parties are deciding the election.